This car’s body styling is created around our ‘KODO – Soul of Motion’ designtheme. KODO design is inspired by the smooth power and agility of the cheetah. So this car design has a sporty flair that expresses motion when you look at the car, provoking an emotional response from your first impression. 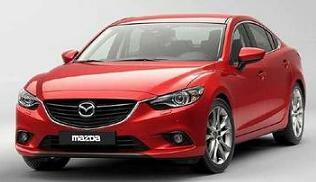 All Mazda 6 2.2D SE car offers are based on Car Leasing, With 3 or 6 months down followed by 36 / 47 Payments. Business contract hire deals exclude VAT / Personal leasing offers include VAT. 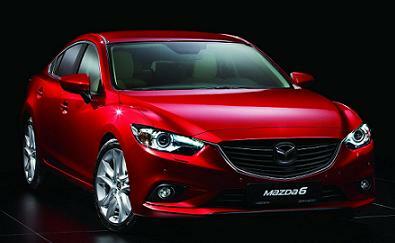 Alternative Mazda 6 models, mileages and leasing profiles available on request. With such a large range of vehicles available, we're confident we can cater for any of your vehicle leasing needs. Please contact us by email, or call on 01604 497572, for a relaxed and informal chat about your business car contract hire requirements. We do not believe in the hard sell and we are always happy to have a chat about your next vehicle. Our office is based in Northampton UK, and we offer free delivery within the UK from our national network of main dealers. All cars are brand new and come with full manufacturers warranty, breakdown cover and car tax for the duration of the contract. There is even the option to build in maintenance pack which will cover the cost for servicing and replacement tyres.